Travis Jensen is a San Francisco/ Los Angeles based photographer. 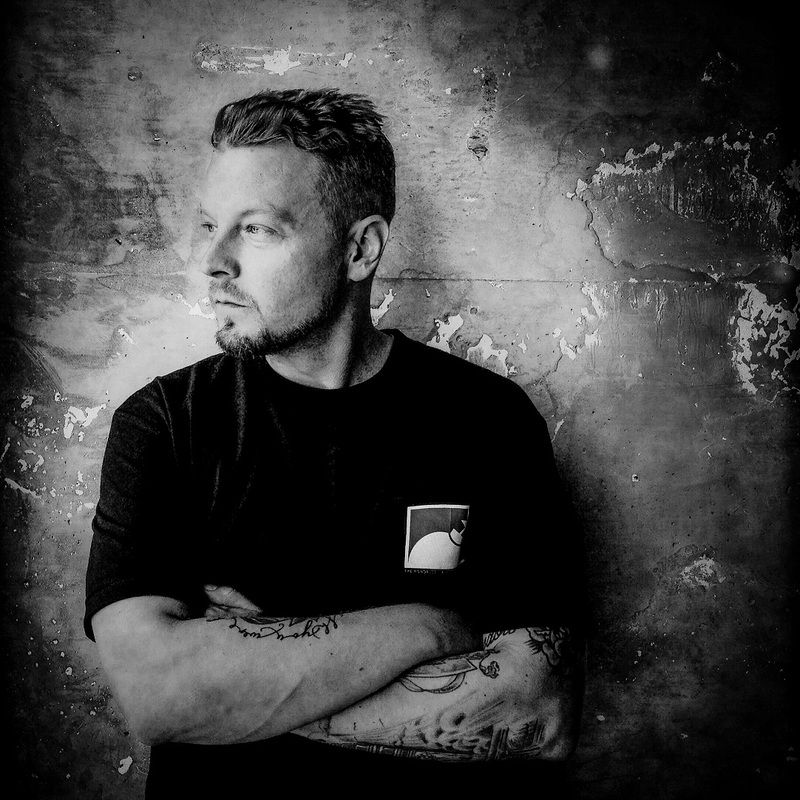 While his personal work focuses on candid street scenes, street portraits and urban landscapes, he works as a commercial branding, lifestyle and editorial photographer. His latest photo book takes us through a project he started nearly a decade ago, taking street photos in at the Ferry Building and continuing through the Tenderloin, The Mission and ending in the Excelsior District. One of the city’s last true neighborhoods, the people of the Excelsior District are proud of their neighborhood and what it means to be a part of their community. LEIMAN: Travis! We’re so close to the launch of your book! Let’s start with how you landed in San Francisco in the first place and how you got your photography career going. TRAVIS: Sure. I grew up in Milwaukee, and had a single parent mom. I only saw my dad a couple times a year, so my mom was always super busy with school and work. So like, at a really young age, I became really self sufficient, and that’s kinda how I survived. Fresh out of highschool I moved to San Francisco with just like 800 bucks. When I look back at it, I’m like holy s– I can’t believe I did that because I was so young. And it was a major wake up call and it was a lot of hustling. I moved to San Francisco in the skateboard culture because it was like the Mecca of skateboarding. I wasn’t going to be like the next Tony Hawk or anything, but like I was good, I had a sponsor, and I just wanted to be part of a movement. That was my plan since like 8th grade. I remember telling my mom like, man, the second I graduate highschool, I’m moving to San Francisco. And they were like yeah whatever. They thought I would go for like a week or something and then freak out and try to come back. I was still just trudging along, and it wasn’t until I got in trouble with the law that I realized I had a knack for writing. I had been working, and I couldn’t believe they would pull me from my job to make me serve a year for something you know, non violent. So, to avoid that, I signed up for classes at the community college, and I started working for the school newspaper. I bounced around for a bit, you know, like I was the dude on the corner selling newspaper subscriptions. And then ironically I ended up working for them later down the road and had a weekly column. I was doing features on different issues that were happening, the different styles of art sprouting there, editorial work like the history of skateboarding in SF, which was fun. The truth is, I got frustrated with the photographers. Cause I would spend like three weeks on a story, and make sure it was rock solid, and you know the photographer would just come in there and like literally snap a couple photos, and be like all right I’ll see you later. You know not into it at all. And I always felt that it discredited my story, like [the photo] wasn’t captive enough. And I was like that’s it – I’m going to teach myself everything there is to know about this and I’m going to do it myself. Because at the time you couldn’t just be a writer anymore. Like all the newspapers and the magazines were folding. So you needed to be needed to be good at both; you needed to be able to take your own photos and write your own stories. 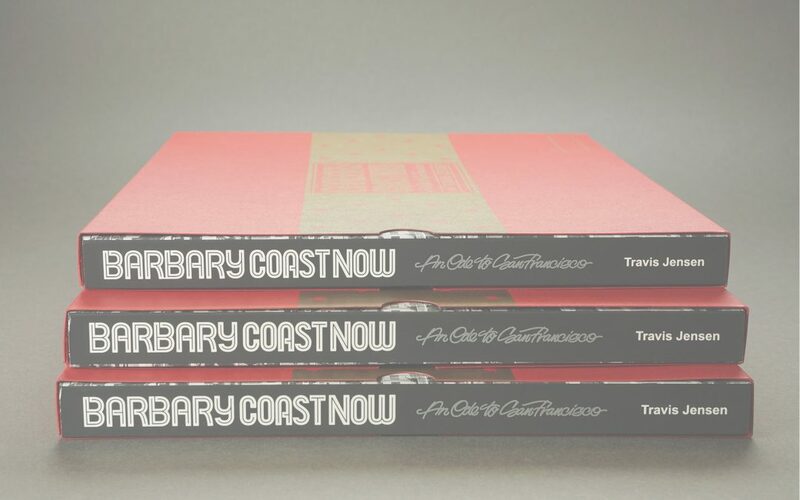 LEIMAN: We’ve partnered on this book for the past two months but you’ve waited three years for the perfect time to release this book about the rapid gentrification of SF. TRAVIS: Oh yeah, I think right now more so than ever as we’ve reached like the tech boom–I think it’s almost peaked here. I can’t foresee the rents getting any higher. This body of work covers from the recession when we got hit really hard, and watching it rebuild to what it is now, is insane. We went through the era where I was watching like 40 colleagues, you know losing their jobs. Like a ton of my friends just getting laid off with very little severance if any. A lot of businesses starting to close their doors, and then you know, you have this tech boom here and the whole landscape changes. So it was just like, I felt very fortunate to be documenting at that time, and during this time because it was such a pivotal point in San Francisco, you know, like just the growth is out of control. LEIMAN: You took these photos from 2007 to 2015 right? What do these areas look like now? TRAVIS: Yeah some of them have retained character, but I think every neighborhood in San Francisco has been impacted by this. Some neighborhoods have done a complete 360, and others maybe 60/40. Some have just been wiped out 360. LEIMAN: Where did your friends up moving once they were displaced from SF? It’s peaceful yeah, but it’s also been like stripped of its culture too in some ways. And I don’t know, I guess change is inevitable but I don’t always agree with the manner that it’s done. In like the abrupt manner. We’re dealing with other people, and people aren’t being compassionate about one another, you know, keeping other people in mind that may be in different situations financially or different places in their lives. LEIMAN: You’ve been in LA for a couple of years now. What are some of the biggest differences between San Francisco vs Los Angeles? TRAVIS: Well, the first thing when I moved to LA, I wanted to make sure I wasn’t becoming a participant in a problem that I had just experienced. I didn’t want to move into a neighborhood in Los Angeles that was going through the same thing I came from in San Francisco. That’s why I chose Glendale. I kinda like it. At first I was like, I don’t know about this place, it was so different compared to San Francisco, there’s a huge contrast there. But now I really like it there. I don’t want to be in Hollywood, I’m too old for that. I have no interest in being out on the strip or like being in clubs or anything like that. I have two kids , so I usually like to be home at night. TRAVIS: Yeah I mean, I love going there, you know going out to K-Town, Hollywood, Central LA, Downtown. I love doing all that, but at the same time, I’m not like out in the clubs in the scene. That’s one thing I like about LA, is you can just come and stay in your own lane here. LEIMAN: Now, do you ever plan to move back to San Francisco? Is that a goal you have? TRAVIS: Oh yeah for sure, I mean – when I first moved to LA, I pitched it to my family like, this was just going to be like for a year or two, you know just to sit this whole thing out. But you know a year or two turned to three. San Francisco, is unattainable for me. Like I’m not a competitor in this market. I tried, I tried so hard- I held on to the very very end. I put it all on the line to make it work. Just the thought of moving my family into a one bedroom apartment before, just so I could continue my dream of living in San Francisco being a photographer. I was like, no way. But then it was a good thing, you know. I needed to leave San Francisco, it was time for a change. Like I said in the intro of the book, I would have never finished this project had I not moved to LA. San Francisco is very intimate by design, that’s why everyone there loves it. So this growth really impacts the city significantly. Going back to your question, I would love to move back but I’m not even in the ballpark to move back. I’m not going to get a single bedroom and move my whole family in. No way. LEIMAN: Why was it so important for you to make a book? What is it about a book that makes it more special than just having digital images and posting it online or instagram, or your website? TRAVIS: I think like with art, having that tangible element to it. Because so much stuff lives in the digital world, it’s nice seeing things in print, and being able to hold it in your hand. For me, I’ve always been fascinated by magazines and books, and paper –collecting baseball cards as a kid. LEIMAN: When you were looking at different printers and different ways to get your book done, What kind of made Makers Threshold or Nonstop Printing standout from the other places you were talking to? TRAVIS: So with Nonstop printing and Makers Threshold, what drew me in was definitely you know, the quick response, and the eagerness to learn more about the project. And actually taking the time to look at the project. Like I could tell you were a fan of art and that you appreciated the cool content. Where as you know some places, they just want to print it and they’re not really too invested in what’s on the inside. TRAVIS: Exactly. Like it’s just another job. LEIMAN: When you’ve made books before, how was this process different than other books that you’ve made? Was there anything different going through this particular process? TRAVIS: Uhh yeah! We were like partners in this. Like you guys invested a ton of time into this and just went way above and beyond. Finding ways to take it to the next level, working overtime, bringing in other people. You know, I’ve never – it’s just rare. It’s just rare to see that these days, that type of commitment to the work. LEIMAN: You know when we first started talking about Makers Threshold, I made it pretty clear that you’d be the very first project. What made you willing to take the plunge into this crazy idea that we had? TRAVIS: Oh yeah, I thought it was great. You know after meeting with you several times I was like, yeah let’s give it a go. I believed in the work, and I believed in what you guys were doing there and really appreciated the uh, dedication to the project. So I was like, let’s give it a whirl. And you know, I knew it was going to turn out awesome. LEIMAN: Who do you think would be a kind of good fit for this type of platform in the future? TRAVIS: Well definitely, you know artists that are looking to publish their work, and get it out there. You know writing, photography, photographs of their sculptures or paintings, music. You know I think it’s an amazing platform for independent artists to get their work out there. 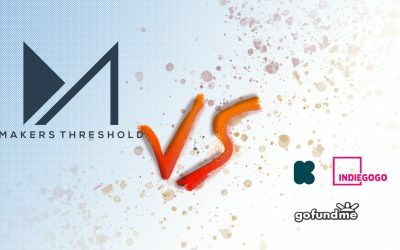 LEIMAN: How do you feel Makers Threshold is different than other crowdfunding platforms like Kickstarter in helping people? TRAVIS: Yeah that’s a good question. Cause I’ve always been kind of skeptical of the whole like Tin Cup thing. [Appearing to ask for donations or financial help to achieve a funding goal] I’m not saying it’s a bad thing, but for me, it wasn’t the direction I wanted to go. So like you guys being able to work with me to custom tailor something that worked for me, like having presales. It was you guys again bending over backwards to accommodate, to figure out a way to like make things work. And that’s what I love. Like I could tell you guys were really invested in this project from day one, and it wasn’t just another job like we discussed. TRAVIS: I mean if you’ve got like a body of work that you think needs to get out there, I think [crowdfunding] is a great option. It’s an incredible option for an artist out there trying to hustle, trying to put a project out there, and having no money and just want to hustle. Do whatever you need to do to get that money and get it funded. TRAVIS: Right, but I still believed in like, your vision and your dream enough to be like yeah, I would love to try this. Printing out x amount, and then I don’t have to come out of pocket an incredible lump sum of money. It’s a very fair price to begin with, and in my case, you know going way above and beyond. I’m already looking forward to doing the next project. I mean, it was a huge selling point aside from just working with you and your family and your team. Not having to come to the table with a huge check, and to just walk into a really cool environment where everyone’s like really stoked about we’re doing, and having great customer service everytime I’m in there. The family run business, that’s rare. I was like man, you don’t see that much anymore, that’s rad to see that these days. LEIMAN: Thanks for taking all the time to chat! Was there anything else that you wanted to add? TRAVIS: Yeah of course no problem. Going back to the Makers Threshold thing, I think it’s a no brainer for people. You know, you don’t have to come to the table with a huge lump sum of money. And I like having things be handmade you know? And you can feel that. I think with each one of books, there’s a handmade quality to them, each one feels kind of custom. And like I said, I’m already looking forward to the next project. For more on Travis, check out the interview Complex did with him. You can also visit his website for other project’s he’s worked on. Wow! Great interview. Loved reading this.